The Porsche 981 Cayman GT4 is the ultimate Cayman ever made. Many Cayman GT4 owners add more to their cars with decals, stripes or a car wrap. The photos speak for themselves. 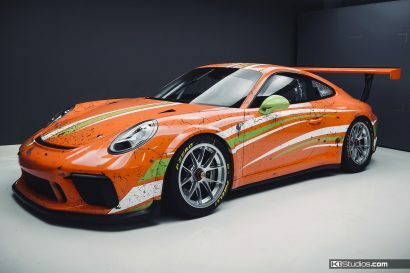 Introducing the Avery Dennison Porsche 911 GT3 Cup Car. We have a little backstory on the car itself along with the process of designing and installing the new racing livery. It used to be that to change a car’s color or achieve a really intricate design one had to use paint. These days we use a car wrap and we can even print gradients and halftones as well as mimic paint. Submit photos of your car with KI Studios stripes for a chance to win a printed stretched canvas of your photo. Submissions can be featured on our site as well as social media. Here’s a good look at some of the awesome Lamborghini wraps we’ve had the pleasure of working on. The vast array shows a big difference between each of the types of wraps. The Porsche headlight trim is one of our best selling products. The reason is simple. We believe this is the way the car should look from the factory. We just made an installation video for it to show how easy it is. Your Porsche’s paint is very expensive. 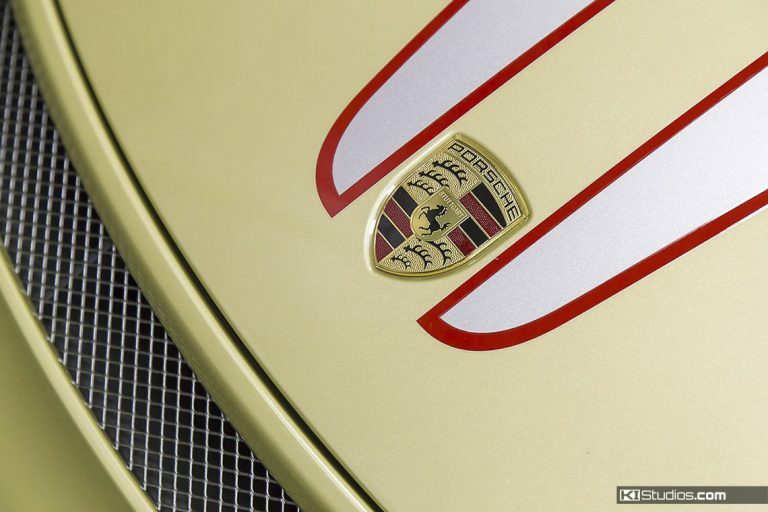 Having to repaint is costly, plus it depreciates your Porsche no matter how good a paint job it is. Porsche car wraps and clear bra offer the fun of color changing while offering paint protection. Why the Name Clear Bra? The term clear bra is pretty well know nowadays. However, there are still folks who don’t quite know what it means and are too ashamed to ask. Let’s look at the history of the name.